Horses are great companions. They may trace their roots in the wilderness, but their true nature is docile and sweet. Nevertheless, owning a horse is a huge responsibility. 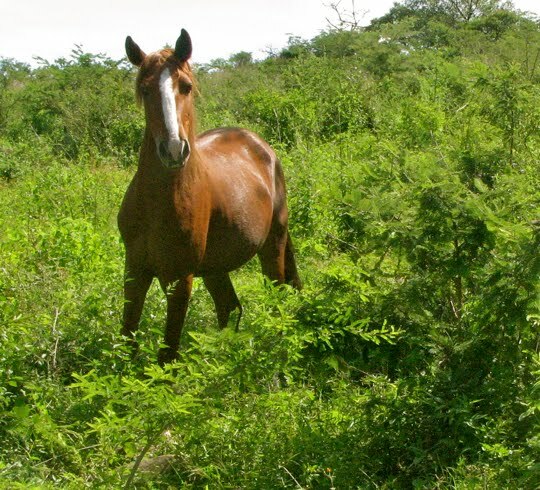 While horses may learn to adapt to an artificial environment, like a stable, they are designed to graze in open spaces. There may not be a prerequisite acreage for pastures; it is considered that one acre should be more than enough to satisfy a horse’s needs. In addition to this horses require the constant attention and companionship of a human to maintain mental health. As you may already know, first impressions matter. The same rule applies to your horses. 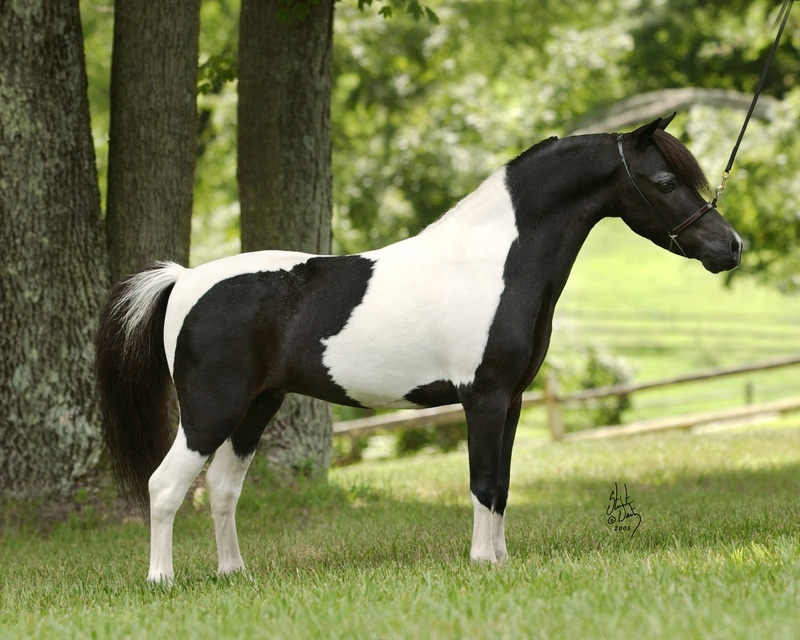 Whether you are trying to sell your black stallion, showing under saddle or simply trying to impress the judges in a competition, you must make sure that the initial assessment of his appearance is a good one. Individuals interested in horse care jobs should also understand how to care for a horse. A horse’s health is clearly reflected in its physical appearance. The problem is that you can’t get a horse ready in a few minutes. These are things that should be done long before the ‘big day’, as part of your every-day routine. Horse care is as important as communication and training. This is why we have compiled a list of grooming and horse care tips that apply for the specific needs of regular and miniature horses. This guide was designed for owners and those seeking jobs on ranches. You can teach these things to your kids as well. If you think that they are not yet ready to handle a horse on their own you should introduce them to horse care games. Online horse games have plenty of features like grooming, feeding and training, which will teach your little ones about the responsibilities of caring for a horse. Analyze your child’s interest and dedication to his virtual horse before introducing him to a real-life one. Horse care isn’t only about proper grooming or trips to the vet. It is also about interacting with the animal, engaging in fun activities and strengthening the bond between you and him. This is no easy task as it will require a lot of time and money. Caring for a horse is a long time commitment. You must provide the horse with proper shelter, a balanced diet, plenty of exercise and a clean environment. In addition to this, you should constantly update yourself on horse care news and guidelines to ensure that your animal lives his life to the fullest. Basic horse care involves regular medical attention, constant watering, the use of horse supplies, feeding and social activities. The rule of thumb when it comes to feeding would be to always supply your horse with fresh water and salt or mineral licks. As we already mentioned, horses are grazing animals. This means that they could spend their entire day eating. If your four-legged friend enjoys chewing on grass the whole day that’s fine and dandy. However, you should only add new stacks of hay two times a day – in the morning and evening – to avoid overeating. The main elements of a horse’s diet include hay, wheat and roughage. If you have enough acres of green grass for him to feed on you needn’t worry about hay. But green grass is difficult to come by during winter. This means that you must determine how much your horse is supposed to eat (the amount of food for a horse depends on his size) and create a feeding schedule. Things get a bit more complicated when we take into account the different types of hay that a horse can consume. For example, hay with high protein content can be good, but if it is consumed in excess it can result in hoof problems. The best solution here is to mix different type of hay according to your veterinarian’s directions to achieve a more balanced diet. Grains should also be includes in your horse’s diet. Once again, you should be mindful of the amount of grains as they may cause hoof problems, especially if your horse isn’t getting enough exercise. While sweet feeds and oats can be added to a horse’s diet, you should be aware that it can make him extremely excitable and also disrupt digestion. There are many supplements, like Purina, which are not as rich but have better nutritional value. Additional treats include corn oil which can help your horse gain weight (must be mixed with grain) and supplement – vegetable oil, Omega-3 fatty acids- for joints, hooves and coat. Horses must be groomed regularly in order to maintain their coat in good condition and to quickly spot problems such as ticks or cuts. If you want to groom your horse you will require a grooming kit. It should include a hoof pick (for cleaning dirt, debris and checking for lost nails or loose shoes), a body brush (for smoothing out the coat and removing dirt), a curry comb (for removing mud and preparing the coat for brushing –metal curry combs are arguably the best, but for sensitive areas of the body you may require rubber combs), a dandy brush (which should be used after the curry comb to straighten loose hair and remove mud that the curry comb couldn’t handle), towels and a mane comb (designed to remove tangles and snarls from the tail and mane). You can use hoof oils and dressings to protect sensitive areas. Bathe your horse from time to time but don’t go overboard. Specialists say that too much shampooning can affect the shine of his coat. Combs, picks and brushes must be disinfected constantly to avoid skin infections. You can also keep your brushes clean while grooming by brushing them against bristles or metal curries. The most efficient grooming method is from top to bottom and from front to back. You can use a tail bag to protect your horse’s tail. Make a habit out of shampooing, conditioning and braiding your horse’s tail once a week. Secure it with a tail back below the tailbone. Don’t forget to run your clippers through his whiskers and bridlepath once a week. You should run your curry in a circular motion first to loosen hair and dirt. Once you are done you can use the dandy brush to remove them. Finish up with the body brush. If you want to add extra shine you can use a sheen product for the horse’s coat. Also, for gray or light colored horses it’s a good idea to keep some spray-on equine stain remover close. This can remove all manner of grass and manure stains. Don’t just groom your horse. Check every inch of him (hooves, eyes, ears, legs) to make sure that everything is fine. Simply run your hands down his body while you are brushing the coat. Wayward hairs are hard to control. While braiding your horse’s hair you might want to use a mane mouse for better control. You can consider using color enhancing shampoos as they will accentuate your horse’s natural highlights and tones. Sweat, mud and dirt should dry off before it is brushed off. It is highly recommended to use an equine squeegee instead of a sweat scraper for removing water and mud. You will be happy to know that coat polish sprays can keep dirt off of your horse permanently. The grooming kit should include different sized sponges for different body part – dock, face, body etc. Darker coats are susceptible to sunlight and may fade or bleach when overexposed. Make sure your horse has plenty of shade. Pick out your horse’s feet: Sounds pretty basic, doesn’t it? Sadly, many owners believe that this is a job for a farrier. Wrong! Hooves should be checked before you go out for a ride (to remove stones or objects stuck in the hooves before adding your weight to the equation), before you put the horse to sleep, after untacking and every morning. This may sound like a lot but it is a task that only takes two minutes to complete. Things to look out for: There are a few things that you should always look out for. The first thing would be cracks. While some of them are superficial, others may lead to painful wounds. Inform your farrier about all cracks to determine their severity. Thrush can cause significant damage to the hooves if it isn’t treated. You should also keep an eye out for punctures. Nails and other pointy objects seem to always find their way in a horse’s hooves. Whatever you do don’t pull it out. Protect the foot to the best of your abilities and call your vet immediately. Lastly, you must constantly check for abscesses. This can be done by evaluating hoof temperature. If the foot is warmer than normal, or than the others, this might mean that he is suffering from a badly placed shoeing nail. Protect hooves with a balanced diet: it is a well-known fact that some horses have better hooves than others. If yours is the latter, you can resolve the problem by fine-tuning his diet. Add biotin supplements to his weekly ration and be patient. It takes around 6 months for visible results to be seen. Schedule regular visits to the farrier: there is no standard interval for farrier visits. This should be adjusted according to your horse’s needs. Change shoes as often as necessary. Understand the summer cycle of soaking and drying hooves: most hooves suffer when the environment quickly changes from dry to warm or vice-versa. Evening turnout is used to avoid biting insects and damage from dew-soaked grass. You can minimize these effects by reducing the hours that your horse spends outside during dewy nighttime or by applying protective coats on the hooves. Alternatively, you can cut down on unnecessary baths and shorten the shoeing schedule during summer months. Purchase a tube of 30+ sunscreen with your grooming kit. Horses who have white markings on their face are especially sensitive to sunburns. If this is the case you might have to apply sunscreen on a daily basis. You can tell if a horse gets sunburns by checking his skin for red patches or peeling. If it’s too warm outside, or if the sun is too powerful you should consider putting the horse in the barn or providing him with shade (a tree or cover). It is essential that your horse receives sufficient clean water every day. To ensure this you should provide him with a water source at all times. Medium-sized horses usually drink around 10 gallons of water every day. Dehydration in horses leads to serious illnesses. Don’t forget to clean the water bucket regularly to scrub out slime from algae. A great idea would be to hose your horse down every day to cool him off. This will also make it easier for you to remove sweat, which attracts flies. Keep in mind that if the horse already suffers from severe sunburn you will have to put fly mask on her that also protects from flies during the day. Fly masks can be purchased from a local tack shop. Did you know that horses can also get worms? This can be particularly during hot warm summers when worms thrive. You must regularly de-worm your horse to avoid sickness. The first thing you need to do in the morning, after grooming the horse, is to apply fly repellent on her coat. You can also apply gooey medicine on the horse’s tummy to keep midges or gnats at bay. Another thing you should keep an eye out for is your horse’s behavior during riding. If the horse starts producing heavy sounds, if it has trouble breathing or it keeps slapping its tail it can only mean that she is overheated. You must immediately untack the horse and hose it down. Dehydration Test: you can test if your horse is dehydrated by pinching its belly. If the skin stays pinched for more than one or two seconds it means that the horse has to drink water as soon as possible. If you want to spread manure on the field you should do so during warm days. Heat kills parasites and flies quickly. If you are working a lot with your horse during summer you have to make sure that it rests enough. Add a fan in her stall during the day and walk around with it for 10 minutes after each workout session to cool it off. Think twice before deciding to work your horse to the burn. Heat is dangerous for both rider and horse. Add a salt ball on the pasture and in the barn that the horse can use at all times. Horses are susceptible to warm than to cold. However, severe cold which can embrace certain parts of the country might affect the horse’s health. Most horses are capable of producing winter coats that insulate their organs from cold winds and temperatures. The first thing that comes to mind when thinking about those oh-so-cold winter days is blankets. You can find a huge variety of horse blankets that provide additional protection for the horse during winter. Keep in mind that you should keep using blankets for your horse until weather improves. Be warned that, even while using blankets, the horse is not impervious to cold temperatures, wind, rain or chilling. If weather doesn’t seem to improve you must have additional shelter prepared – a windbreak, shed or barn should suffice. You can assess the level of comfort for your horse by regularly checking on it. Shivering or sweating under a blanket indicate how comfortable your companion is with different temperatures. Lastly, if the horse is losing weight during winter you might want to consider increasing his food ratio. The last chapter that we would like to touch upon in our horse guide is miniature horse care. Nutrition: The first thing you need to know about miniatures is the fact that they are prone to overeating. Needless to say, overeating leads to health problems. It isn’t difficult to determine how much a miniature horse has to eat on a daily basis: simply balance it against body size. Miniature horses should at least two times a day because of the size of their intestinal track. Obviously, you should also ensure that there is a fresh water supply available for them at all times. Shelter & Pastures: While it is recommended to let a miniature spend time outside, you should be mindful of him especially when the grass is lush and long. It will not stop eating. Interestingly enough, miniature horses are sturdier than large ones when it comes to harsh weather. They thrive in the great outdoors and are impervious to cold or rain. Because they are shorter, airflow in the barn or shelter is important to their health. Grooming: is an essential part of miniature horse care. It doesn’t matter if your miniature is a racing star or a leisure mount. You must include grooming rituals (which are basically the same as those for larger horses), in his daily activities. Grooming isn’t only important for his health, but also for strengthening the bond between owner and animal. Veterinary care: you will want to contact a local veterinarian as soon as you purchase/breed your first miniature horse. Together you can determine a holistic approach that will ensure good health for many years to come. The program should include regular trips to the vet office for immunization, check-ups and testing. Hoof & Dental Care: As is the case with normal horses, miniatures also require hoof care. The main difference from larger horses is that miniature ones must have their feet trimmed from an early age. Neglected feet can lead to serious problems. As far as dental care is concerned, check-ups should be done starting with an early age. This will make it easier for you to discover problems. We suggest choosing a vet that specializes in miniatures. This concludes our guide to proper horse care. Horses are majestic creatures but they are high maintenance. Several specifics of horse care may have slipped our minds, but you definitely have the basics covered. After you start properly caring for your horse you will be able to discover problems or additional steps that you can take to improve his health. The most important thing is to never neglect your horse or his needs.